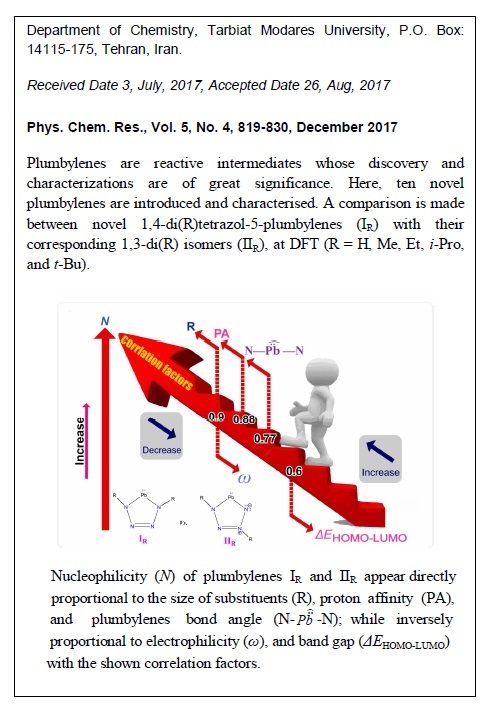 Plumbylenes are reactive intermediates whose discovery and characterizations are of great significance. Here, ten novel plumbylenes are introduced and characterised. A comparison is made between novel 1,4-di(R)tetrazol-5-plumbylenes (IR) with their corresponding 1,3-di(R) isomers (IIR), at DFT (R = H, Me, Et, i-Pro, and t-Bu). Every one of our plumbylenes (IR or IIR) appears less stable, with a lower band gap (ΔΕHOMO-LUMO), and a higher nucleophilicity (N) than its corresponding carbene (I´R or II´R). For both IR and IIR plumbylenes the trend of N values emerges consistent with the size of substituents (t-Bu > i-Pro > Et > Me > H). Every IIR shows a higher N than its corresponding IR. Except IIH, every IIR emerges more aromatic than its related IR. 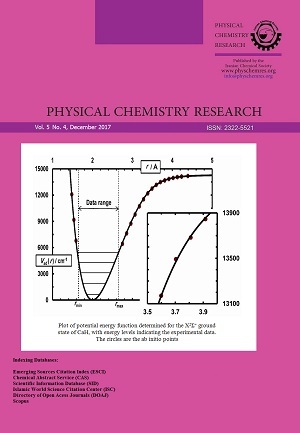 The N of both IR and IIR appears directly proportional to the size of R, proton affinity (PA), and plumbylene bond angles (N—((Pb) ̈ ) ̂—N); while it is inversely proportional to electrophilicity (ω), and ΔΕHOMO-LUMO.